On the right-hand side of our website is an email newsletter sign up box, offering you a free marketing checklist to use in your book promotion efforts. All entrants will receive a copy of the Australian eBook Publisher Book Marketing Checklist in pdf format. The pdf file will be distributed by email to the email address entered. All entrants are automatically entered into our email newsletter, but are free to unsubscribe at any time. Copyright of Book Marketing Checklist remains the property of Australian eBook Publisher. Any unauthorised sharing or distribution of this product is prohibited. 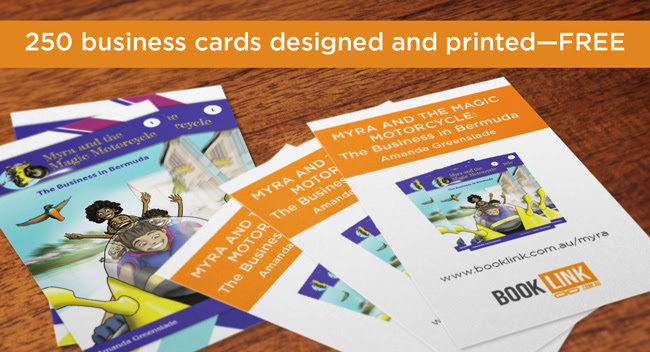 Until January 31st 2017, Australian eBook Publisher are also offering you 250 book cover business cards designed and printed FREE when you purchase a Booklink landing page for just $99+GST. 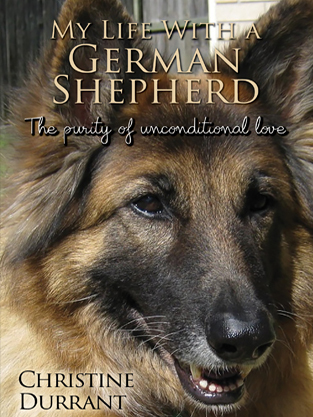 This offer is only available for Australian eBook Publisher’s customers. Service will be provided after your book is published (as we need the vendor links to add to the landing page). In other words we will set up the Booklink landing page and business cards of a published book within two weeks of receiving payment in full. Please allow an additional week for printing and shipping. Limited to one use per person. 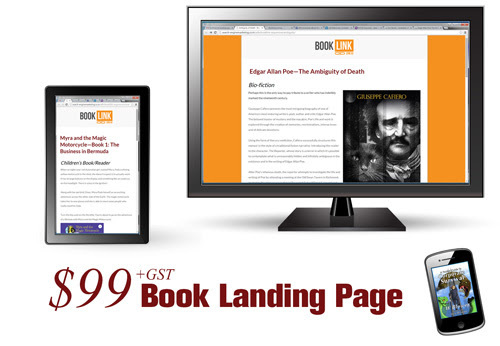 Offer only valid to past and present Australian eBook Publisher customers. Design is at the discretion of Australian eBook Publisher and is on our existing book cover business card template, which includes the book cover image on one side, book title, subtitle and author name on the back, cover image, web address for your Booklink landing page and the Booklink logo (see image above).